The Georgian government is now providing state-funded healthcare for roughly 90 percent of the country’s 4.5 million people. But economic experts in Tbilisi wonder whether the state’s efforts to provide universal healthcare are stressing the treasury. “The reform is very important as for the first time since the collapse of the Soviet Union, it recognizes the collective social right of access to healthcare,” said Givi Javashvili, an associate professor of family medicine at Tbilisi State Medical University, and the director of Patients’ Rights, a non-profit advocacy group. Following the Soviet Union’s implosion in 1991, Georgia, like other former Soviet republics, could no longer afford a Soviet-style, cradle-to-grave healthcare system. Since then, Georgia has been on a quest to build a new healthcare model that provides wide coverage. It has been a rocky road. The first reform, implemented in 1995, eliminated free medical care for all Georgians. After the 2003 Rose Revolution, the government looked to the market to address healthcare needs. Almost all hospitals and clinics were privatized, apart from a handful of specialized facilities for mental health and infectious diseases. In addition, financing was deregulated, with private insurance companies offering coverage. The state looked after only the most vulnerable, plus some civil-servant categories — in total, about 40 percent of the population. Broadening access to state-funded care was a priority for Georgia’s ruling coalition, the Georgian Dream, which came to power in the 2012 parliamentary elections. At 2.78 billion laris ($1.16 billion), the Ministry of Labor, Health and Social Welfare now accounts for the largest share of the state’s 8 billion laris (over $3.3 billion) budget — over a third of total spending and a 54 percent increase since 2012. Universal healthcare alone accounts for 17 percent — 475 million laris, or $199.6 million — of that ministry’s total. If parliament passes the government’s draft 2016 budget, the ministry will see its budget increase by nearly 10.5 percent to 3.07 billion laris (nearly $1.28 billion) — more than three times the size of the second largest recipient, the Ministry of Education. In an interview with EurasiaNet.org, Deputy Health Minister Valeri Kvaratskhelia said healthcare was a key “pillar” of the ministry’s activities. However, healthcare programs seem to be eating up resources quickly. As of September, the health ministry had already spent roughly 90 percent (425.8 million laris or $177.8 million) of its universal healthcare budget for this year. Politicians from Georgia’s largest opposition group, ex-President Mikhail Saakashvili’s United National Movement, hold that the ministry’s rate of spending means it will run out of money for universal healthcare before the end of the year. A ministry spokesperson, however, told EurasiaNet.org in an email statement that the government “ensures” that the program will remain operational. She did not elaborate. Deputy Health Minister Kvaratskhelia said that Georgia’s overall healthcare spending stood at 2 percent of its 2014 Gross Domestic Product, and was about half the amount allocated by most European countries. Compared to state spending in Estonia and Lithuania, two other former Soviet republics of similar size to Georgia, Kvaratskhelia’s claim appears accurate. Some experts maintain room exists to increase healthcare’s share of Georgia’s budget. Yet they agree that containing costs appears to pose the main challenge. “Lessons from other countries show that when you have a private provider and a public payer, [the former] would maximize the profit and try to [play] the system and escalate the cost of the healthcare,” commented Akaki Zoidze, lead researcher at the Curatio Foundation, a non-governmental organization that focuses on public health policy. Negotiations continue with private medical facilities about the level of fees the government will cover, the daily Rezonansi reported last month. Zoidze, who served as minister of health and deputy prime minister in the early 2000s under former President Eduard Shevardnadze, recommended “effective regulation [and] good control [of spending and facility services] through electronic databases,” along with skilled management as ways to prevent soaring costs. Government officials, meanwhile, believe that encouraging broader access to primary healthcare could help contain spending. The majority of Georgians visit specialists rather than general practitioners, even for routine care, it estimates. To expand access to lower-cost general practitioners, the government since 2014 re-acquired 11 clinics in mountain areas to guarantee basic services that private providers would not offer. 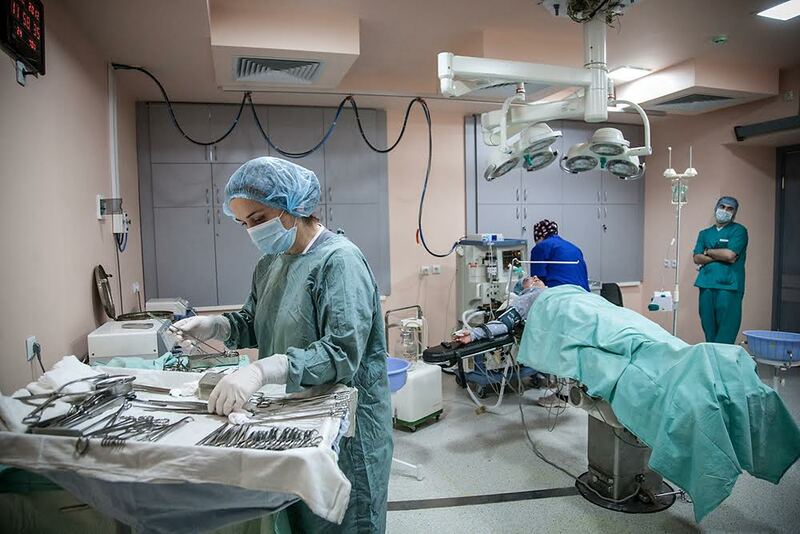 The state also has finalized the purchase of three hospitals in Tbilisi. Experts generally concur that enhancing primary healthcare would allow the government to limit the high cost of hospital-based treatment and increase disease prevention with early diagnoses. But strategies for encouraging Georgians to trust primary healthcare — a field not locally known for its expertise — remains a work in progress. Monica Ellena is a Tbilisi-based freelance journalist.